What do Ling Lun, Antonio Stradivari, Robert Moog, Harry Partch and Pat Metheny have in common? They have all built musical instruments that have had a profound influence on the music which followed. Pat Metheny’s music and his playing style is unique, complex and masterful. Yet, it is accessible, fun and beautiful. He has gone through many changes, taking chances that often catapulted him to new and exciting art forms. Metheny is responsible for the creation of new kinds of guitars and unique uses of electronic synthesizers. He is currently beginning a solo tour which will include about 150 concerts featuring an instrument which continues his quest for new forms of musical expression. This is one of the largest instruments you’ll ever hear, rivaling the cathedral organs of the world in size, surpassing them in technology and challenging them in the area of timbre. Growing up, Pat was excited by the mechanism of the player piano his family owned. At a very young age, he took it apart to understand how it worked. To the delight of his grandfather, he was able to put it back in working order after the autopsy was complete. The limitation of player pianos for Pat was the mono-dynamic output, IE always loud, no subtlety. He had always had a dream of building a mechanical instrument which had a dynamic range and a wide variety of timbre. The “Orchestrion” is the culmination of many years of a dream. It consists of dozens of conventional instruments and a few unusual/original designs. The instruments are mostly activated by intelligent solenoids controlled by a computer. After consulting with many of his colleagues such as Gary Burton and Jack DeJohnette, he amassed great sounding instruments and mallets appropriate for each component. Burton supplied a vibraphone and a mallet for each bar that maximized the sound quality that Pat was looking for. Jack’s drum set is suspended high on racks in the back of the stage. Each drum and cymbal has several mallets (E.G. the cymbals have brushes and sticks of various hardness). He sought help from a diverse group of technicians to realize the creation of the Orchestrion. The technology available today allows for the solenoids to be able to respond to many levels of input which in turn makes it possible to play very soft sounds, very loud sounds and many degrees in between. Just before he embarked on the maiden voyage in January of 2010, I visited his studio in Brooklyn where Pat demonstrated the instrument and played a few of the pieces from the Nonesuch album. His albums are often symphonic in nature, each piece serving as a movement of a larger work. Orchestrion has this effect as well with thematic material weaving throughout the album and with changing moods like an overture, fast and slow movements. As a percussionist, I especially enjoyed hearing what a composer/guitar player wants to get from a drum set, glockenspiel, marimba, vibes, and congas in this context. While the instruments are mechanically controlled, the music is far from mechanical. Pat is able to play with pre-programmed tunes or change and mix what the accompaniment plays using foot pedals which control the computer output. His attention to detail such as tuning, latency issues and dynamics makes the result very human. The mere fact that the sounds are being produced by live acoustic instruments insures the experience will be different each time they are played. The vision came from Pat, the programming is his work and the compositions are pure Metheny. A few years ago, Pat performed on a now historic concert celebrating the 70th anniversary of Steve Reich’s birthday. The concert opened with Pat playing Steve’s Electric Counterpoint (also recorded on Nonesuch Records), followed by the Kronos Quartet performing Different Trains and then Music for 18 Musicians with Steve Reich and Musicians. Pat told me that the inspiration to move forward with the Orchestrion project came after playing that night to a standing room audience listening to him and a prerecorded ensemble of guitars (all of which Pat played). 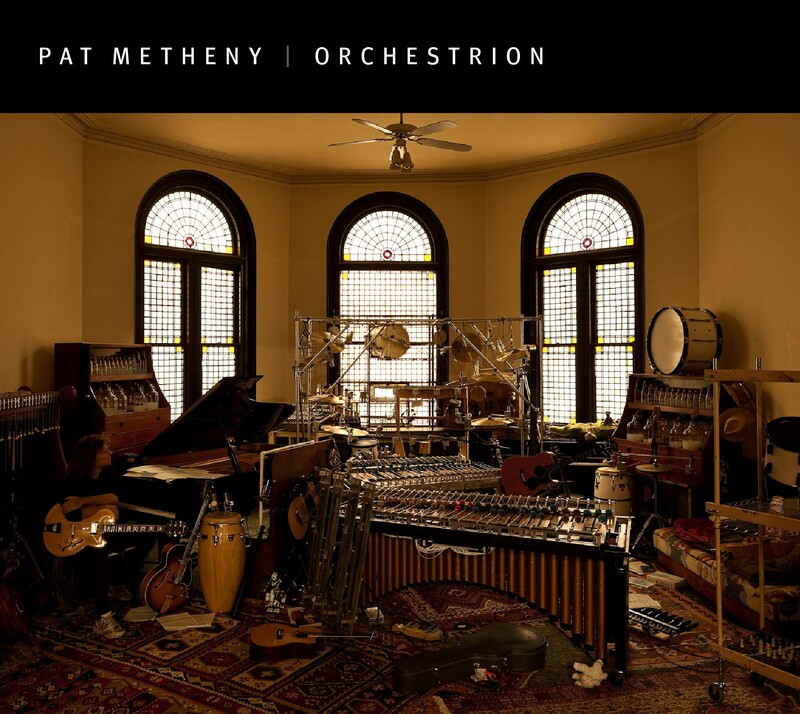 What’s really important is the music Pat has created for the Orchestrion (which is the name of the instrument and the recording) is exciting and masterful, yielding so much variety, intensity, contrast and musical beauty. Imagine a large stage filled with grand pianos, a full range of guitars, a huge collection of percussion of many types, banks of glass jugs sounding like organ pipes and put Pat Metheny in front playing solos with an accompaniment never before heard. 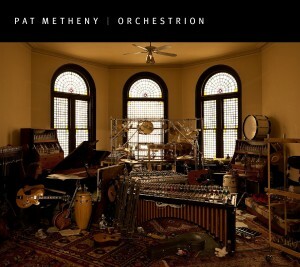 You can watch a wonderful demo with Pat narrating on the Nonesuch website: http://www.nonesuch.com/media/videos/pat-metheny-introduces-orchestrion. It’s a one man show not to miss. But if you can’t see it live (check out his tour schedule at www.patmetheny.com), you can hear it on the excellent Nonesuch recording entitled “Orchestrion”.